IAC, ECBT, and AAP have a few things in common. They are all non-profit organizations with large online presences that promote themselves as sources of reliable information on vaccines. They also receive funding from both vaccine manufacturers and the Centers for Disease Control and Prevention. And, in their advocacy for compulsory vaccination, they all have in common a goal that pushes beyond official governmental policy and, in the case of influenza vaccines, the evidence. Amy Pisani, ECBT’s director, maintains a twitter account for the organization where she recently encouraged parents to do their part in maintaining “community immunity” through an infographic that was part gentle reminder, part guilt-induced obligation, and 100% founded on nonsense. 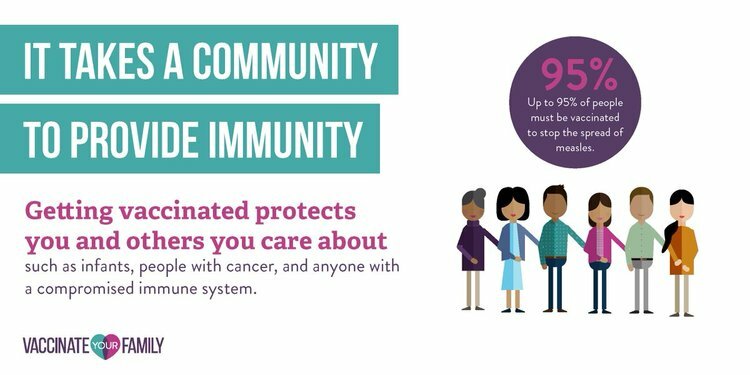 What, exactly, is “Community Immunity”? “Community Immunity” is the term du jour and an apparently more palatable synonym for the oft-invoked concept of Herd Immunity, the idea that unless enough people are vaccinated against a certain disease, everyone is at risk. Find the right doctor to come on TV, and they’ll be happy to explain the magic of vaccine-derived Herd Immunity, and what a scientific process it really is, according to them. Fall below Ms. Pisani’s 95% vaccination rate number in her infographic? We return to the Dark Ages! Do you see what I’m seeing? According to the CDC, it appears that adult vaccination rates for most vaccines ARE BELOW 50%. But, wait a minute, how do we achieve “community immunity” if less than half the adults are playing along? We don’t, as some simple 8th grade math can show you. So, the actual “community” vaccination rate in this example is 69.6% (the children’s rate plus the adult rate equals the total rate), and this is probably a high figure, so the real number in the United States right now is probably somewhere around 65%. Nowhere near Herd Immunity thresholds. 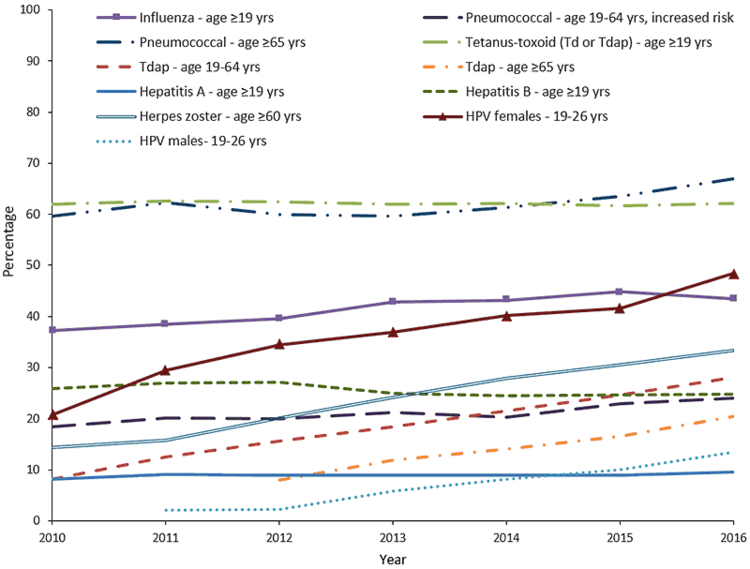 If it’s mathematically true that we have never achieved herd immunity through vaccination because of adult vaccination rates and the fact that vaccines wane over time, where are all the epidemics? That vaccine-induced herd immunity is mostly myth can be proven quite simply. When I was in medical school, we were taught that all of the childhood vaccines lasted a lifetime. This thinking existed for over 70 years. 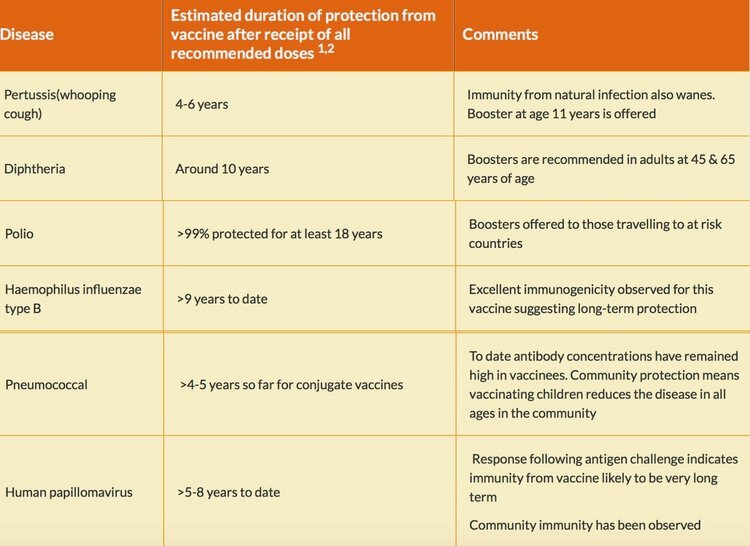 It was not until relatively recently that it was discovered that most of these vaccines lost their effectiveness 2 to 10 years after being given. What this means is that at least half the population, that is the baby boomers, have had no vaccine-induced immunity against any of these diseases for which they had been vaccinated very early in life. In essence, at least 50% or more of the population was unprotected for decades. If we listen to present-day wisdom, we are all at risk of resurgent massive epidemics should the vaccination rate fall below 95%. Yet, we have all lived for at least 30 to 40 years with 50% or less of the population having vaccine protection. That is, herd immunity has not existed in this country for many decades and no resurgent epidemics have occurred. 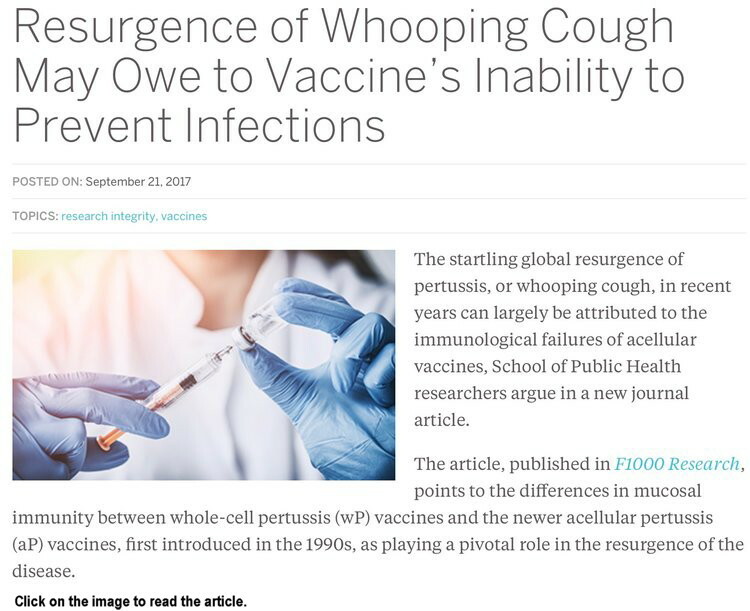 Vaccine-induced herd immunity is a lie used to frighten doctors, public-health officials, other medical personnel, and the public into accepting vaccinations. I live in Oregon. Like many states, our state publishes vaccination rates by school. If your child attends a school with “low” vaccination rates, the message is that it’s a time bomb waiting to explode! But, wait a minute. What’s the vaccination rates of the teachers in that school? No one knows. What’s the vaccination rate of the administrators? No one knows. What’s the vaccination rate of the parent volunteers, the janitors, the delivery people, and the parents who walk inside the school every day to pick up their children? That’s right: no one knows. And yet, we’re encouraged by the media to panic. Perhaps you’re still confused. Yes, my math seems pretty airtight and direct. Ms. DuBeau’s article seems to support my argument, as does Dr. Blaylock. But could all these people screaming about the importance of herd immunity really be that far off base? What if I told you that banging the table about the importance of herd immunity is actually a very recent development, and one instigated by vaccine makers? What if our own history of vaccines and vaccination rates disproved the herd immunity myth all by itself? Let’s go back to the 1980s right here in the U.S. and see what the data says. No one can believe this chart when they first see it. They demand to see my data source. I got it from the CDC, here’s the link. 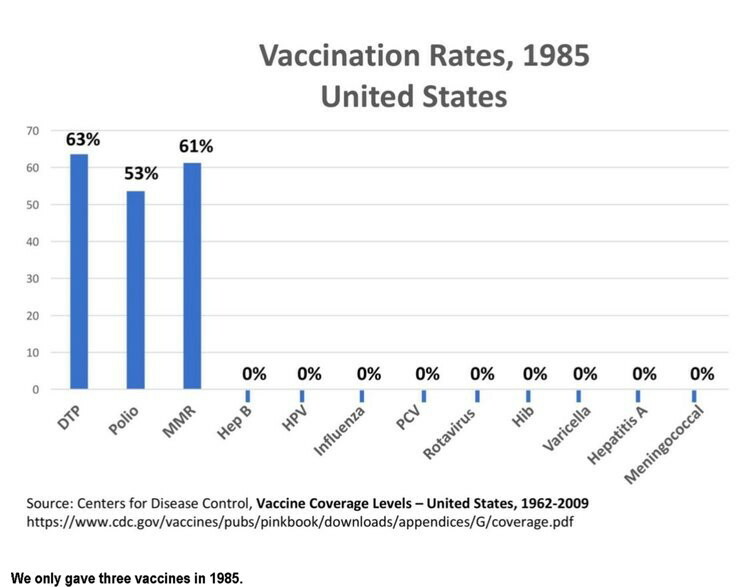 These are vaccination rates for children in the United States in 1985. Does anything stand out to you? Yes, nine of the vaccinations we routinely give to children today didn’t exist in 1985. Yes, vaccination rates for the three vaccines we did give were dramatically below the “herd immunity” threshold that experts today like Ms. Pisani (who is funded by vaccine makers) tells us we need to hit. 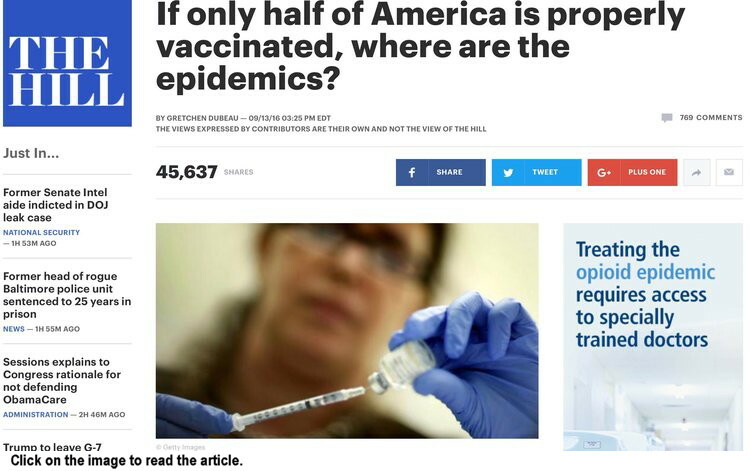 Well…where were all the epidemics? Feel free to Google “polio epidemic, United States, 1985.” I was alive in 1985. I was a sophomore in High School. No one was having a panic attack. 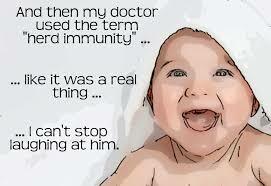 No one was screaming herd immunity, or community immunity. Do I need to keep going? Can’t get enough information about the myth of herd immunity? Here’s some other articles and links. J.B. Handley is Vice-Chairman and on the board of directors at the World Mercury Project where this article was originally published.